Picked up a bunch of new soundtracks the other day, check ’em out! Film: As a comic fan, I possibly love these DC animated features more than the Marvel movies. I like the fact that every film doesn’t require an origin story of the character, and there is an assumption that the viewer KNOWS who Batman and Superman and Power Girl and whomever else is. Throwing out the need to have an origin story makes for a quicker start to the tale, and the DC universe creators are clever with their introductions as sometimes they are as simple as just sitting at a table in JLA headquarters! The other thing is unlimited budget. The beautiful thing about animation (and comics) is it takes about the same amount of budget to create one explosion or fifty of them, also, it’s a lot easier to change a cast member when all you hear is their voice. There is also the fact that they just tell good stories almost every time, and that is because they are based on the stories told in the comics, which were far better than any ‘live action’ adaptation. This in combination with some spectacular character design, and the inclusion of one of Jack Kirby’s greatest creations, Darkseid, and other denizens of his awesome Fourth World Saga characters, make for an epic tale. During a meteor shower, ‘something’ crash lands in Gotham Harbour, making Batman go to investigate. Batman finds a spaceship of Kryptonian origins, a bunch of kryptonite, and a girl, Kara, the cousin of Superman! Batman prefers hard rock over heavy metal. Superman and Batman become an unusual parental unit for Kara, who we quickly find out was sent with baby Superman to protect him on Earth, but her ship was knocked off course, arriving so much later that Superman is now older in body that her, as her ships suspended animation kept her at a 16 year old girl’s age. Unfortunately, Batman’s mistrust causes a rift between them and her. 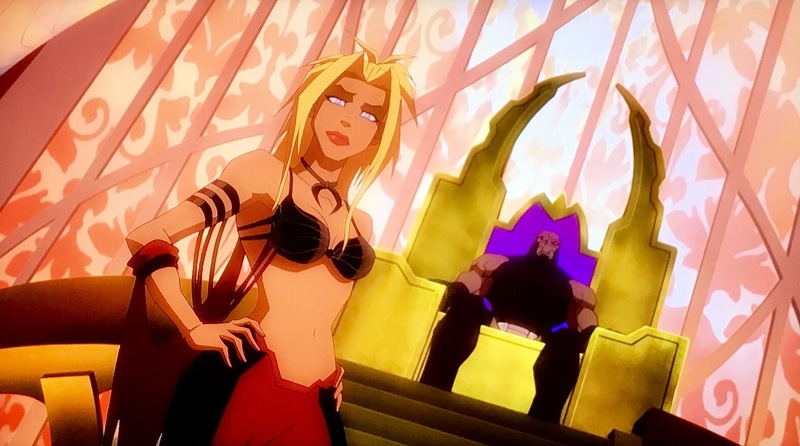 Meanwhile, on the God-world of Apokalips, the evil ruler Darkseid, is attempting to replace the traitorous Big Barda, who left his royal guard as its captain. He is entrusting Granny Goodness, the trainer of warriors, to find her replacement, but she is repeatedly failing. Darkseid has seen Kara fall from the sky too, and entrusts Goodness to capture her so she can become his new Captain. Meanwhile, again, Batman has employed Wonder Woman to take her Paradise Island to receive proper training, which Superman agrees to, causing a rift between her and him. With Kara’s disappointment in both her ‘parents’, once captured she is easily swayed to Darkseid’s manipulations… but will she become Darkseid’s greatest warrior? This is a really cool story, and it shows a lot of the strong women that DC has to offer all in one story, although as a weird juxtaposition, it also has a bizarre sequence where Kara goes shopping in a Pretty Woman styled sequence, which seems to show that even above all the powers, she’s still ‘just a girl’. I don’t know why such a sequence exists in this film, and the film comes to a sudden stop to show it. I have to admit that when we see what she ultimately decides as her outfit, it’s a nice tribute to Laura Vandervoort’s Smallville outfit. Another thing I like about it is how it links loosely to the previous Superman/ Batman movie, Public Enemies, with a mention of ‘President Luthor’s impeachment’. There’s some awesome voice casting in this film as well. 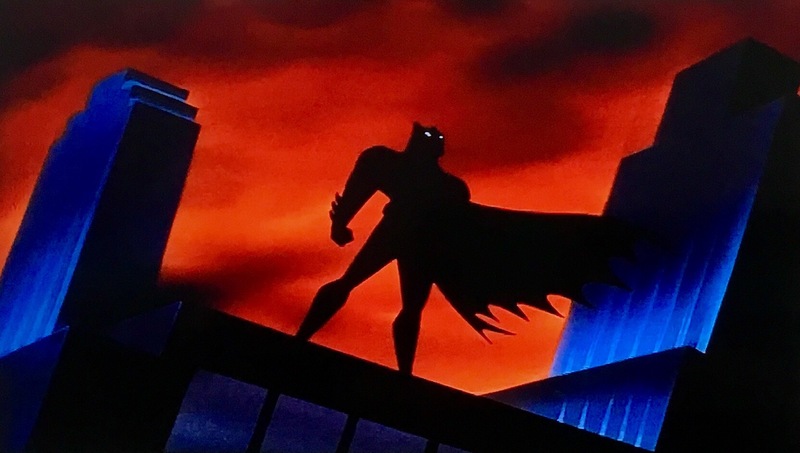 Kevin Conroy returns as the angry voice of Batman, as does Tim Daly as Superman. Summer Glau from Firefly performs Supergirl but the most inspired vocal choice is TV legend Ed Asner as Granny Goodness, it makes her look even weirder with his deep attempts at a woman’s voice. 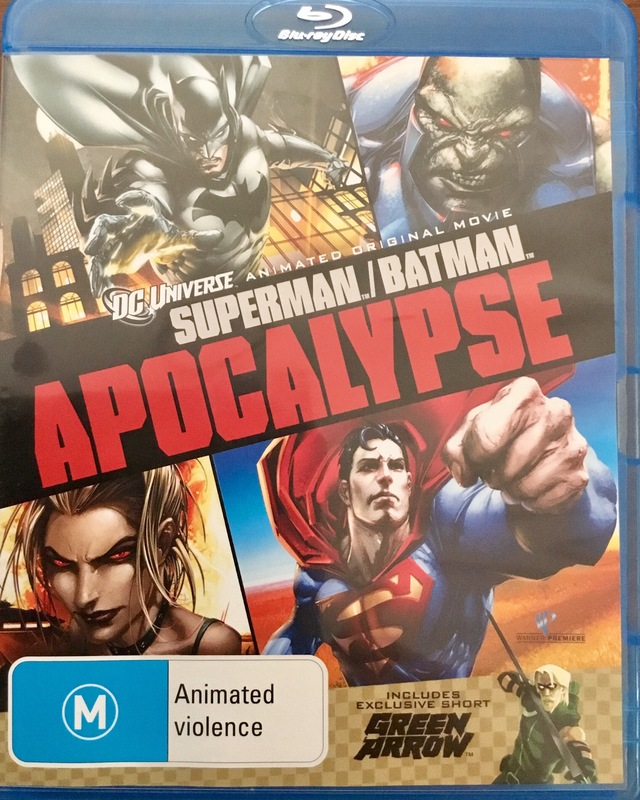 All up, this is certainly one of the better DC animated features and for me being a big Kirby fan, it was a pleasure seeing so many of Kirby’s creations, like Big Barda, Granny Goodness, the Female Furies, Parademons, Hunger Dogs… just so many, on the screen. Format: The reviewed copy of this film was the Australian Bluray which runs for approximately 78 minutes and is presented in a crisp 1.85:1 visual with an clear cut and crisp DTS-HD Master Audio 5.1 audio track. 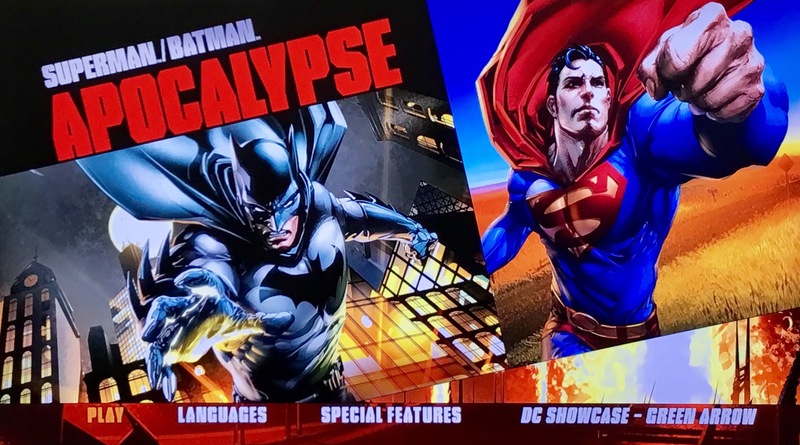 Extras: The disc opens with previews for Batman: Under the Red Hood and The Lost Boys: The Thirst before making its way to the main menu. DC Showcase: Green Arrow is a cool 10 minute short highlighting Green Arrow. This is a really cool short that introduces the character of Green Arrow and also features other characters like Black Widow, Count Vertigo and Merlyn. DC only made a few of these and it’s disappointing that they dumped them. This features an awesome line up of actors doing the voices too: A Clockwork Orange’s Malcolm McDowell, Captain America: The First Avenger’s Neil McDonough, Scooby Doo’s Grey Delisle, Futurama’s John DiMaggio and Modern Family’s Ariel Winter! Bruce Timm’s Top Picks features four episodes taken from Superman: The Animated Series: Little Girl Lost Part 1 and 2, and Apokalips Now! Part 1 and 2. The Fourth World: The New Gods investigates Jack Kirby’s creation of the New Gods in the early 70s, and how important their creation was to DC at the time, and explores Kirby’s history as well, and how important he was to the history of comic books. New Gods: Mister Miracle Pod is a distillation of Miracle’s origin. News Gods: Orion Pod is the same as Miracle’s, but for Orion. Supergirl: The Last Daughter of Krypton explores the history of the character of Supergirl, why she was so important to the DC universe, and why she continues to be relevant and popular today. Unfortunately this was made before the new TV series starring Melissa Benoist so there’s nothing included from that (at this point, Laura Vandervoort was still Supergirl from the Smallville TV show). There are also trailers for the Lego Universe, the Jonah Hex motion comic, Batman: Under the Red Hood (again), Justice League: Crisis on Two Earths and Superman/ Batman: Public Enemies. The final extra is a sneak peak at what was the next release in the DC Animated Features, All-Star Superman. WISIA: I love these DC animated features, and ALL of them get regularly watched… including this one. 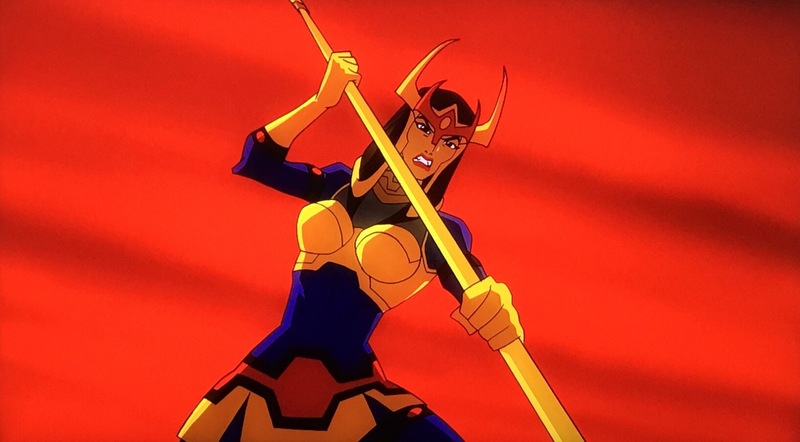 Big Barda expresses her point. Film: As of the date of this review, I have been a comics fan for 45 years. Every Sunday, as a child in the coastal town of Thirroul, my father would take me to the newsagency down the road so he could grab the Sunday paper, and we would return with a comic for me as well (and once a month, a Famous Monsters magazine), and that turned into a life long addiction to the panelled arts. Ok, except for during the early nineties when the ‘Image look’ took over and every man and his dog was attempting to ‘draw’ like Rob Liefeld… yuk! My first comic is emblazoned in my mind: issue 46 of Iron Man where he fought the Guardsman and I remember the cover well. In those days I didn’t know there was a ‘universe’ and I just read comics based on each individual issue. Sufficed to say I very quickly ended up with a collection of comics and even though my first comic was a Marvel one, in those days, it was DC that floated my boat, especially Superman and Batman. …and still to this day I declare Superman to be the greatest hero of all, even though he is not created by my favourite comic creator, Jack Kirby: an artist whose talent I adore so much I even named my daughter after him!! Anyway, DC comics always are close to my heart and I was so happy several years ago when I discovered this doco existed, along with its supporting doco, Necessary Evil, which explores the villains of DC comics, which are far more interesting as characters in general than the good guys. 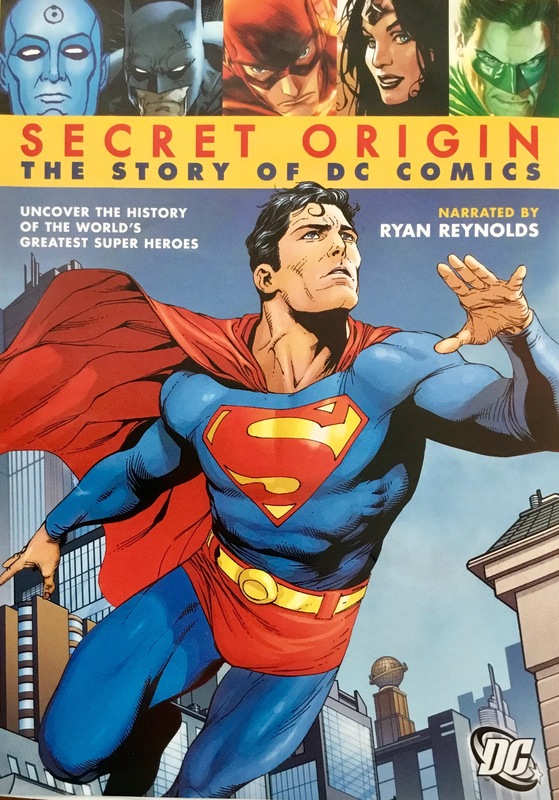 This documentary, Secret Origins: The Origins of DC Comics, is narrated by Ryan Reynolds, and tells the of DC comics, and thoroughly explores the entire history: the ups and downs, the successful TV shows and films, the cartoons, the merchandise and the comics as well, but not just the history of the characters, also the creators, historians and all the business and style changes throughout the history. This documentary features interviews with Karen Berger, Neil Adams, Frank Miller, Bob Kane, Marv Wolfman, Dwayne McDuffie, Neil Gaiman… just so many interviews, both new and archival, and all of them relevant and informative. 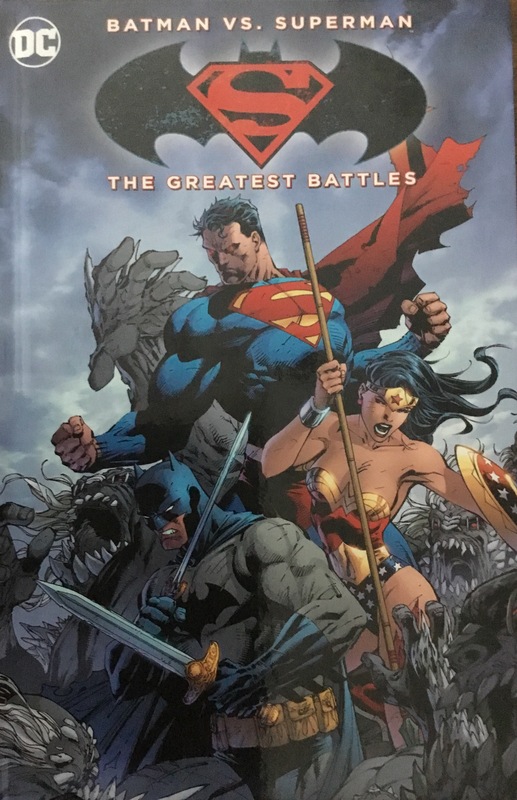 It also explores the legends of the greatest heroes of the DC Universe: Superman, Batman, Wonder Woman, The Watchmen, Swamp Thing and so many others. The entire film is also illustrated with some of the finest art comics has to offer, and some awesome footage from the films and TV of DC, including some amazing behind the scenes stuff. 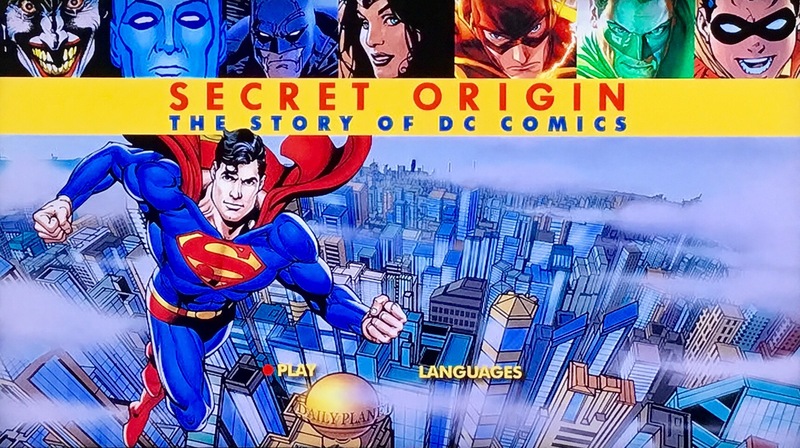 If you love DC comics, this is a must watch, and even if you just like any comics from any publisher, this is an incredibly informative and interesting look at the history of comics in general. Format: The reviewed copy of this documentary was the American, region 1 DVD, which runs for approximately 90 minutes, and it is presented in a 1.80:1 widescreen, of varying quality due to some of the footage being archival, but the comic images and new footage and interviews are clean, and the audio in an excellent Dolby Digital 5.1. WISIA: Being a comic and a documentary fan, this is a wonderful meeting of the two things, and gets watched possibly once a month. Film: As a teen I read any comic I could get my hands on, and that evolved into me pretty much exclusively reading only Marvel comics. I stopped reading comics in the beginning of the nineties as basically, well, they sucked. I started reading comics again in the early 2000s. I started with Marvel but drifted to DC, and now read a bit of both. Even though Marvel have nailed down the movies with their cinematic Universe, DC seem to be struggling. The interesting thing though in their animated movies, which are released direct to bluray, are amazing. The reason is quite simple: there is an assumption that the viewer knows who the heroes are and they don’t feel the need to retell and retell their origin story every time a new one comes out. I’ve pretty much enjoyed most of them, though their have been a couple that have meandered a little; this is one of them. Justice League Dark tells of the darker side of the DC universe: when a villain of magical proportions threatens the DC Universe, Batman employs the assistance of those from the darker side of the DCU, including John Constantine and Zatanna, who bring along other magical beings such as Etrigan the Demon, Swamp Thing, Deadman and all the magical powers of the House of Mystery and Black Orchid. The problem with this story is it’s just not entertaining. The whole thing felt quite flat and dull, and at times I was struggling to maintain any sense of interest. Batman’s inclusion is strictly as lip service to the DCU and even he comes off like he feels like he shouldn’t be there. That’s not to say the character design and the animation is great, because the film looks fantastic, and I’m really enjoying the character design in these animated features. Several of the voices will sound familiar as Matt Ryan, who plays the live action TV show Constantine, plays him here too! Zatanna is portrayed by Lara Croft (the video game) actress Camille Luddington and Jason O’ Mara returns as Batman. Most of the voice acting is pretty cool except for one glaringly awful choice which is Nicolas Tutturro as Deadman. I always expected Boston Brand to have an other-worldly voice, not that of an annoying stand-up New Yorker. Unfortunately this was a big miss for me, but I do hope the JLD return for another adventure, maybe just with a better thought out story, and without the yoke of Batman following them around like a lost dog. Format: This Australian region B bluray release of Justice League Dark runs for 75 minutes and is presented in an excellent 1.78:1 image with a DTS-HD 5.1 audio track of similar quality. 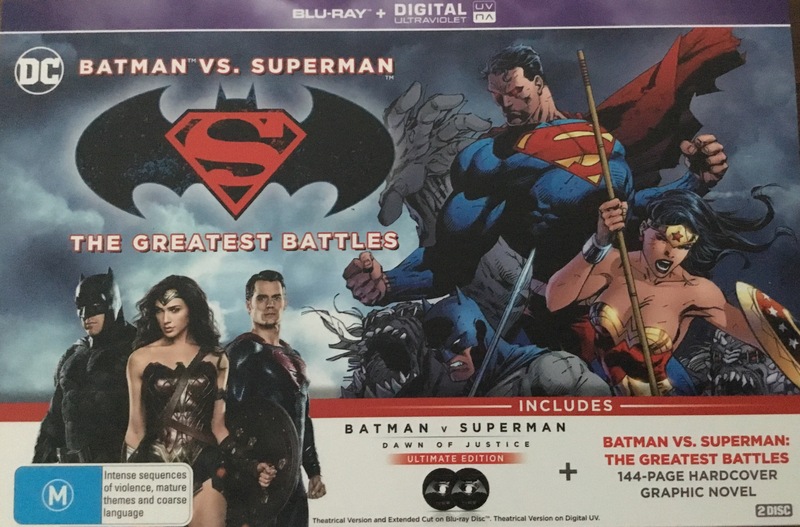 Extras: This disc opens with a trailer for Wonder Woman (the live action one with Gal Gadot) before taking us to the menu screen. As always with these DC animated films, we are treated to a look at the next film to be released, in this case it being Teen Titans: The Judas Contract. I love the Teen Titans so I for one can’t wait! The Story of the Swamp Thing looks at the genesis of Len Wein’s creation of Swamp Thing, a DC muck creature created in the 70s who became a staple of DC’s Vertigo line in the 80s and beyond. This has interviews with Wein, artist Kelly Jones, writer Mike Carlin and others and is one of my favourite docos of this type on these discs. Still a shame Alan Moore wouldn’t make any sort of commentary on the character. Did You Know? is broken into 4 mini docos ‘Constantine Origin’, ‘The Color of Magic’, ‘Black Orchid’ and ‘Deadman Casting’. These are just 30 to 60 second vignettes talking about various aspects of the movie and it’s characters. Interestingly, the casting of Deadman is talkied up when in fact I think his vocal casting was the worst. Justice League Dark at the New York Comic Con 2016 sees the creators and cast of the film talking about the film. It’s a pretty interesting look at the challenges of making the continuity of these new ‘animated universe’ features. It ends with a pretty good Q and A session too. 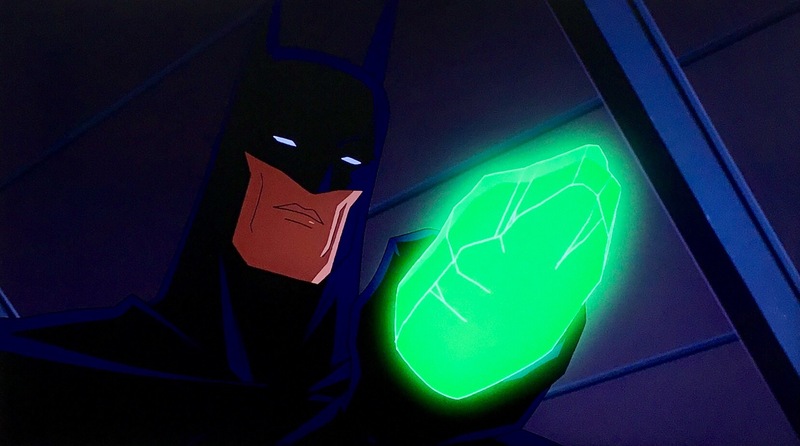 There are two other ‘sneak peeks’ for previous releases of Justice League: Doom and Justice League: Gods and Monsters, as well as episodes of Batman: The Brave and the Bold guest starring Deadman and The Demon. There is also trailers for the DC All Access App and Batman: Return of the Caped Crusaders. WISIA: Whilst it’s not my favourite one of these DC animated features, I’ll probably watch it again just because of Jack Kirby’s Demon making an appearance. Film: Seeing as how the Marvel movies have become such a part of the cinema vernacular now, it’s hard to talk about any comic based movie without a comparison or two. Now I have been collecting comics for years and love it when any character comes to the cinema, be it a major company’s superhero, or a more lowbrow attempt like Ghost World or American Splendour. As a kid I always enjoyed seeing my favourite DC heroes come to cinema with the Superman and Batman films, and even though I am not thoroughly convinced by some of the later Christopher Nolan Batman films casting choices, they did show that you don’t need to talk down to people who like comic based films: simply make an action film with comic book characters in it! The makers of Marvel films took that and ran with it too, and their success of their universe creation reflects that, and now, after years of Batman and Superman movies, and Wonder Woman TV shows, DC have decided to follow suit. It would appear that DC are entering the cinematic universe world now too, with this film Batman Vs Superman: Dawn of Justice (hereby referred to as BvS for abbreviation’s sake), which could also have been called Batman and Superman have a misunderstanding, check out Wonder Woman, and fight some poor cgi controlled by a badly realised super villain. I’ll just point out that badly realised super villain is Lex Luthor, not director Zack Snyder. This edition is the so-called ‘Ultimate’ edition which contains both the theatrical cut, and an ‘ultimate’ cut which contains about 30 minutes more footage. For the intentions of this review, I will discuss the theatrical cut first, and mention any differences with the pacing or story afterwards, before getting to the likes and dislikes of the film. BvS starts with the briefest re-telling of Batman’s origin before reintroducing us to Bruce Wayne as an adult, visiting his business in Metropolis at the time of the big fight between Superman and Zod at the end of Man of Steel, which is destroyed, killing many employees. Flash forward 18 months and we see that Bruce/ Batman is still concerned by Superman’s presence, and mankind is divided with some praising him, and some fearing him and thinking he should be held accountable for his actions, including one which had potential political ramifications. Then enter Luthor, a multimillionaire youngster who has concerns for mankind too, but maybe he is manipulating some behind the scene shenanigans. Throw in a search for others with ‘special’ abilities like Superman, including Wonder Woman, Aquaman, Cyborg and the Flash, and a surprise super villain that ends just the way you expect, and you have a full story… To the brim! The Ultimate cut is certainly the better cut of the film. The extra half hour of story isn’t just special effects and fighting, it actually tells more of the story, and has a few cool surprises and fan service too. Either cut has a lot of story to tell, and it does so by doing a few things that make it travel along at a decent clip. The first thing it does is not tell us the origins of all the characters. Man of Steel established Superman and that is not revisited at all.. Batman’s backstory is told as a small piece of exposition because we really don’t need to see it again… Surely most people know it by now for how many times comics, TV and film have told and retold it! 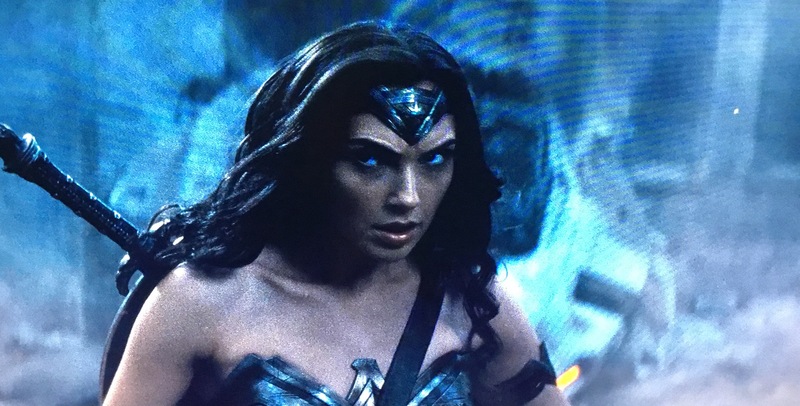 The best thing is Wonder Woman is hardly given much backstory at all, all we know is she is older than she looks, kills monsters for fun and looks amazing in armour! I guess her movie will tell her story. Another thing I like about the way this story is told is clearly Batman has been around for years, and perhaps is heading swiftly to the twilight of his career. He is scarred both physically and mentally, and trusts no one but Alfred, who as years have gone by has begrudgingly become complicit in is Batman’s actions. Jeremy Iron’s delivers every line with nothing short of a delicious cynicism. Actually, the entire cast play their roles perfect. Cavill is the ultimate boyscout, Affleck portrays and older, almost unhinged Batman (akin to The Dark Knight Returns Batman) like he was born for it and Gadot’s Wonder Woman has a fondness for war that’s clearly apparent. The supporting cast of Amy Adams, Laurence Fishburne, Diana Lane, Callan Mulvey and Holly Hunter are all spot in as well, but there is one glaring cast issue that sits horribly wrong, and more disappointingly, it’s one I supported all along. Jesse Eisenberg’s Lex Luthor is a confused mess. Whilst I appreciate, and earlier endorsed the idea that Lex Luthor would be a young, start-up whiz-kid, with a dark side, Eisenberg plays the role like a slightly hyper-active computer programmer who gets mildly annoyed when he doesn’t get his way. I didn’t get any feel of ‘bad guy-ness’ at all, and his machinations were all organised so distantly from him, that they didn’t come across as organised by him at all! At the very best, he would be most appropriately described as the worst of James Bond’s villains. My final criticism of the film is the overall look of the battle sequences. Snyder created his own cinematic ‘language’ with the film Sucker Punch that in general serves him quite well, but I believe it fell down in this film. His wind up for the punch that results in a slow motion effect was used far too often that it just slowed the fight sequences down, and considering how cartoony and ineffectual THEY are, I’d be trying to get through them as quick as possible, rather than letting the viewer see how poor they are. Seriously, the Doomsday creature looked like it was made by the guys who did the Incredible Hulk film, and hadn’t had an advancement since then. It seems to me if you want to sell your comic superheroes as serious action films, this is not the way to go. So all in all I enjoyed the actual story of the film, and most of the characters, but those couple of points really stood out as a step back for ‘comic movies’ as a sub genre. Format: As one would expect from a HUUUUGE budget Warner Bros film based on several of their biggest properties, the 2.40:1 image and Dolby Atmos audio are immaculate on both the 151 minute theatrical cut, and the 182 minute ultimate edition. Extras: So first in the Ultimate Bluray edition’s case I have to talk about the packaging. Whilst I hoped it would come with a metal emblem case like the special edition of Man of Steel bluray did, I wasn’t unhappy with the hardcover comic collection that doubles as a cover. The comic collection contains 6 stories containing Batman and Superman dating back to 1986, and is presented on a gloss stock, and has two cardboard pockets for the blurays. There are also digital editions of both the theatrical version of the film, and the comic book as well! As for on-disc extras? Wow! There’s heaps, and some sneak peeks at Suicide Squad and Wonder Woman’s movies. Uniting the World’s Finest talks about the efforts being taken to create a DC cinematic universe… At no time is the word ‘different’ used. Gods and Men: A Meeting of Giants looks at the differences, similarities and history that Superman and Batman share. 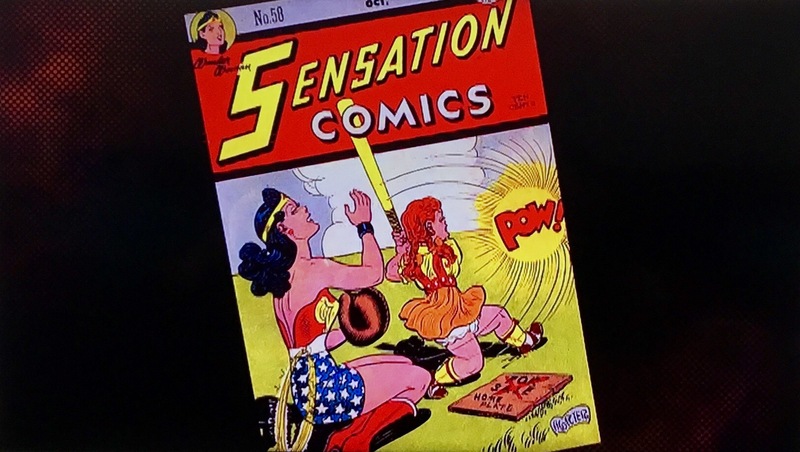 Wonder Woman: The Warrior, The Myth, The Wonder looks at the history of Wonder Woman. Accelerating Design: The New Batmobile. The secret to what this featurette is about is in the name’ the design of the Batmobile. Superman: Complexity and Truth explores Henry Cavill’s procedure to become the Man of Steel. Batman: Austerity and Rage does the same for Ben Affleck. 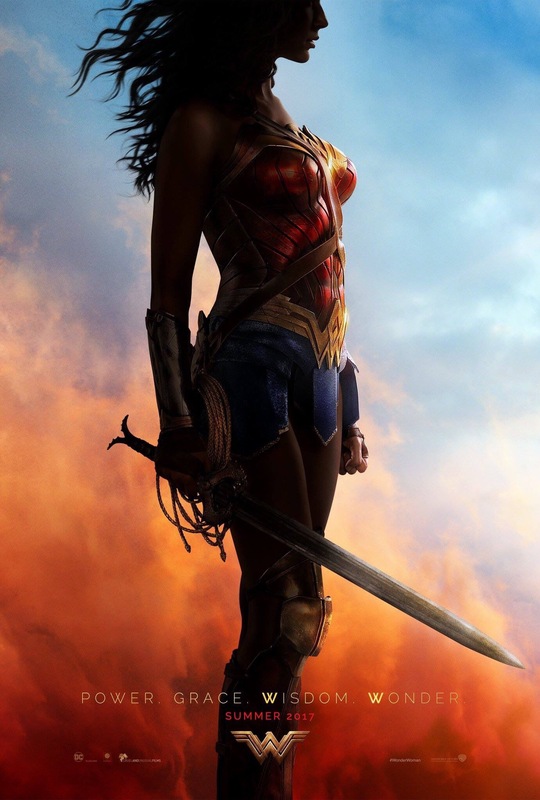 Wonder Woman: Grace and Power… Ditto, but with Gal Gadot. Batcave: Legacy of the Lair digs into the design of Batman’s hideout, which is a lot different to any cave we’ve seen before. The Might and Power of a Punch dissects the punch up between Batman and Superman. The Empire of Luthor examines the character of Lex Luthor, and how he’s been modified and modernised for the film. Save the Bats looks at how the film cast and crew donated time and resources, including wooden sets being broken down to become bat-houses, to saving endangered bats. Go to Www.savebats.org. There are no extras on the Ultimate Version disc, but with all those on the other disc, it’s all good. 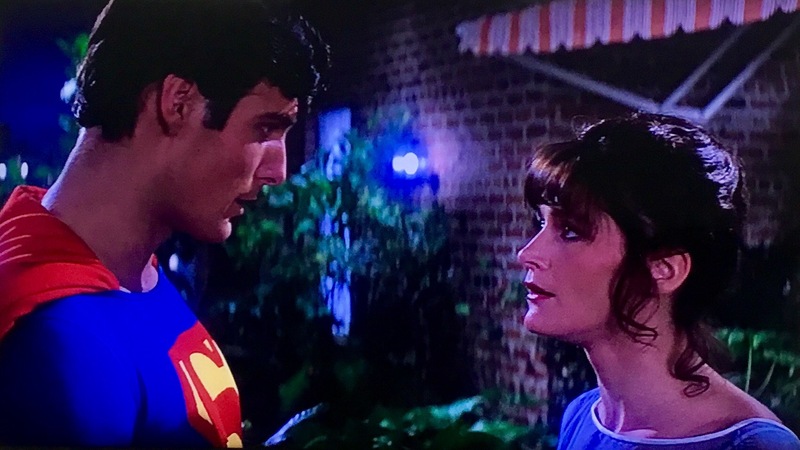 WISIA: Even the worst of these superhero movies get rewatches from me just for the sheer joy of seeing my childhood heroes come alive, so this being a middle grounder, it will probably remain quite high on the pile.